It was two years ago when UK Prime Minister Theresa May delivered the notice for the country to withdraw from the EU, thus beginning the two-year countdown to its official departure date on the 29th of March this year. In order to smooth the process, a trade deal was forged between the UK and the EU during these past two years to set the terms of their divorce, dictating a plan for how trade, customs, and other regulatory matters would be handled after the departure date. Of course, as anyone following the news is aware, the passage of such a deal has not been successful – at least not yet. The big problem now is not so much Brexit itself, but rather that Brexit could occur despite the refusal of Parliament to accept the deal between the UK and EU. Fortunately, the EU just agreed to a last-minute extension of the original deadline, but only by a couple weeks. In the meantime, the uncertainty of the situation continues to exacerbate Europe’s economic condition, particularly within the UK itself. Caught in the middle of the drama are the nation’s scientists and lab researchers, the majority of which have opposed the notion of Brexit from the very start. The biggest threat that laboratories in the UK will face over the next few years as a result of Brexit is the lack of ability for basic research to tap into European funding, namely Horizon Europe, a huge spending pot for scientific research and innovation that is planned for 2021 to 2027. Additionally, laboratories are bound to face further budget cuts to science in order to pay for Brexit, limited opportunities for international collaboration, tariffs and checks for scientific and instrumentation products from within Europe, and uncertain changes in drug research regulations. More broadly, the UK risks losing its influence and reputation in science and technology. These effects will be especially harmful if no deal is reached in the near future. If the Brexit agreement is approved by Parliament before the new deadline on the 12th of April, a transition period will take place at least through December 2020, during which time there will be few changes in terms of the country’s scientific relationship with the EU. In this scenario, it is also possible that the transition period will be extended. 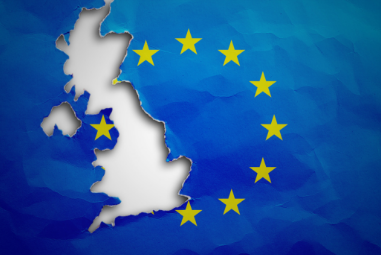 If the Brexit agreement is not approved before the new deadline, there will be no transition period and laboratories will face a chaotic situation as they adapt to immediate regulatory changes that affect their staffing, procedures, and budget. When it comes to lab instrumentation, SDi estimates that the UK currently makes up just under 6% of the worldwide market, and about 20% of total European sales. The effect of Brexit on the future of these European sales will undoubtedly be detrimental, but probably not devastating. The economic consequences of the maneuver will be felt mostly by the UK, by mainland Europe to a lesser extent, and by other countries to an even lesser extent. As we trace the growth pattern for lab instrument sales, we have found that growth in Europe tends to only thrive for a year or two, and a hiccup usually follows. In this case, that hiccup is Brexit. Still, the uncertainty surrounding the situation could be worse than Brexit itself, particularly since it causes academics in Europe to consider research collaborations with the UK as risky. To view the larger picture, following SDi’s annual coverage of the lab instrumentation market in the 2019 Global Assessment Report, we predict that growth in Europe will be nearly 4.0% in 2019, which is still considered healthy. Since lab supplier companies have known about this pending hiccup since the 2016 referendum, many of them have prepared their organizations internally to minimize supply disruptions, maintain regulatory compliance, smooth out their sales, and uphold customer satisfaction in Europe. At the time of this writing, there is no clear indication of how the situation will play out – whether there is a deal, no deal, the unlikely retraction of Brexit itself, or some other development. Despite whatever disruptions are bound to occur in the second quarter of 2019 and beyond, it is in the best interest of government and industry leaders to preserve the flow of scientific personnel and scientific research across borders, and a resolution that strives for that still remains very likely.